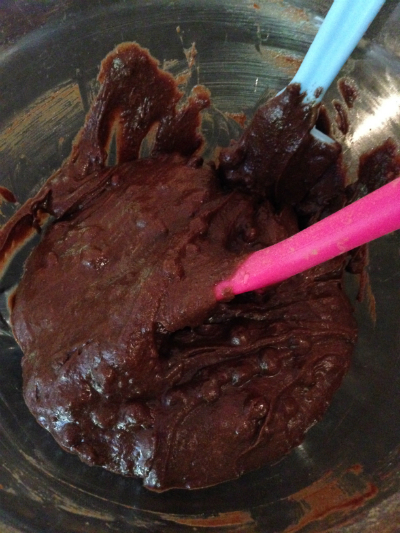 I have been looking around for a grain free chocolate brownie recipe. I’m trying very hard to stay grain free, I find I stay almost symptom free this way. There are plenty of gluten free recipes but I wanted something with no grains just nuts and if possible no refined sugar. I still need sweet treats ! I came across a recipe from Elana’s Pantry. New York Times best selling author . I use many of her delicious recipes . until cracks appear on the top. leave to cool for as long as you are able! these are not a healthy treat as they are still high in fructose from the dates and small amount of sugar in the dark chocolate. But we all need a sweet treat sometimes. 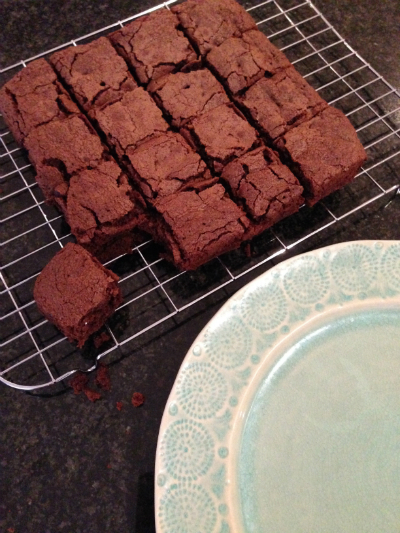 The brownies were dense and delicious not crumbly or overly sweet. 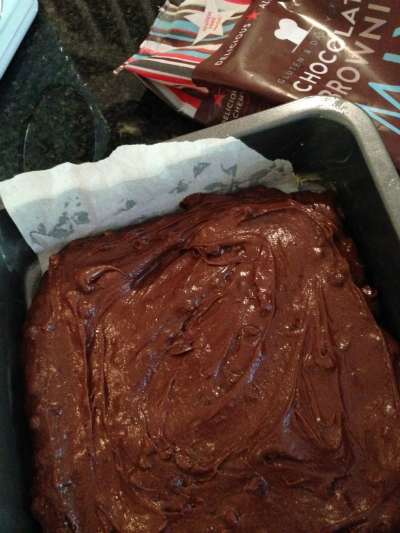 its along time since i’ve eating a regular gluten filled brownie so I can’t compare. I certainly prefer the sweetness level of these treats to a gluten free sugar filled version. Although I might add even more chocolate buttons next time. 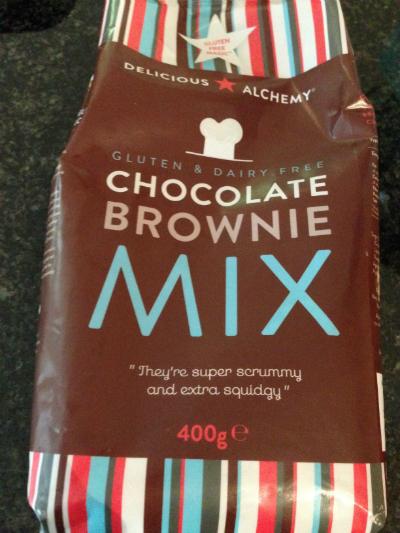 Recently Delicious Alchemy sent me 3 of their products to test and review, Even the box they arrived in caught my eye, the family were intrigued and commented on the packaging. 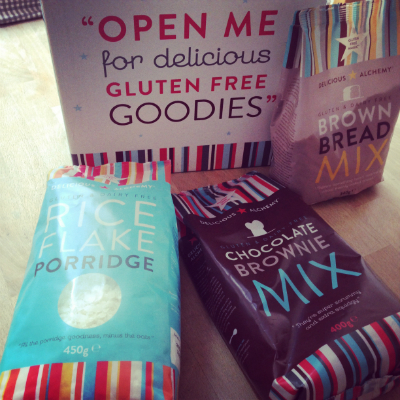 Included in my box of goodies was a brown bread mix, a brownie mix and rice flake porridge. 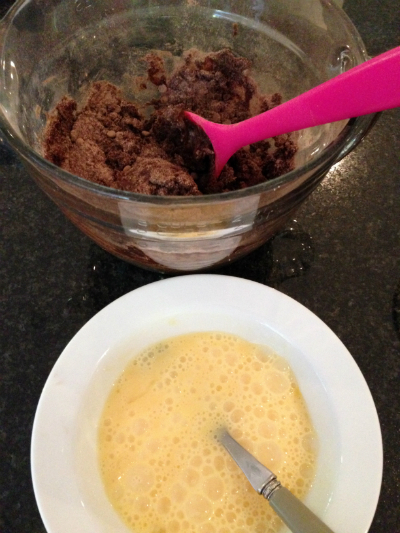 Firstly I tried the brownie mix, perfect as I was cooking for 7 that evening. The ingredients and method are written on the packaging. The family all commented about the attractive packaging . Very eye catching! 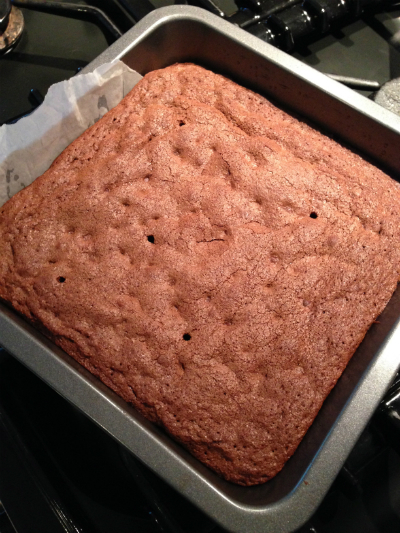 but baked perfectly and came out of the tin with ease. 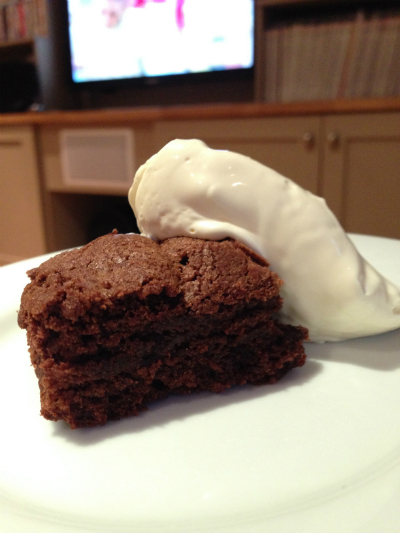 and served with extra thick double cream. I thought these were very nice, very sweet but as I’m not regularly eating sugar anymore I expected this. 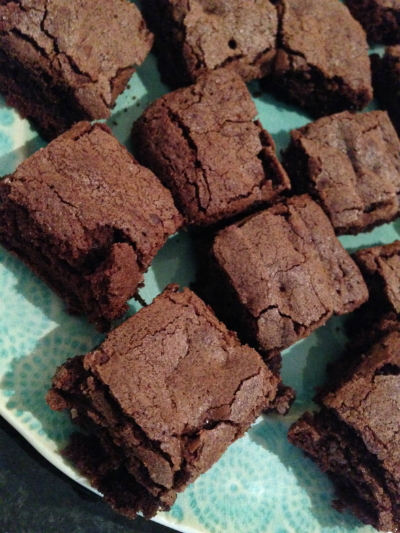 The family all gave them a big thumbs up and said they tasted like regular gluten filled brownies also lighter than some had expected.